Heat oven to 375°F (350°F for dark or nonstick cookie sheet). 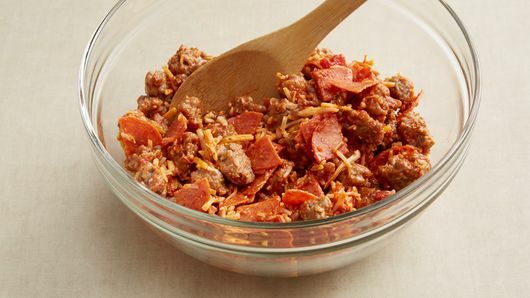 In medium bowl, mix cooked sausage, pepperoni, cheese and 3/4 cup of the pizza sauce. 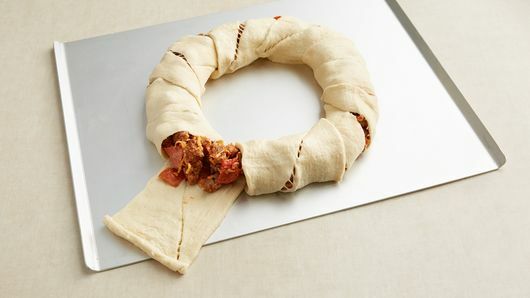 Unroll both cans of dough; separate into 8 rectangles. 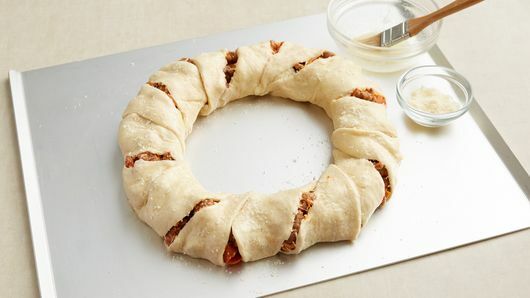 On ungreased cookie sheet, arrange rectangles in ring so short sides of rectangle form a 5-inch circle in center. Dough will overlap. Spoon sausage mixture on the half of each rectangle closest to center of ring. 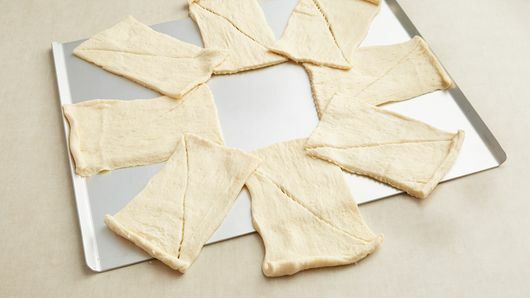 Gently separate dough perforations on top until filling peeks through. Brush top of dough with melted butter, and sprinkle with Parmesan cheese. Bake 20 to 25 minutes or until dough is golden brown and thoroughly baked. Cool 5 to 10 minutes before cutting into serving slices. 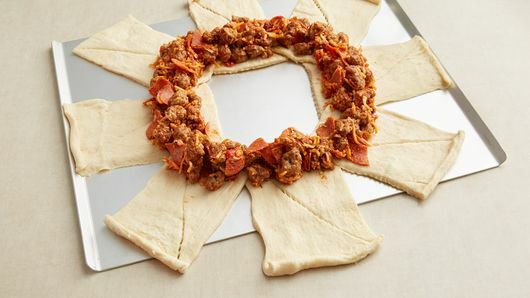 Just before serving, in small microwavable bowl, microwave remaining 3/4 cup pizza sauce uncovered on Medium-High (70%) 1 to 2 minutes or until hot. Add some veggies for extra flavor! Great additions include fresh sliced mushrooms, chopped green bell peppers and chopped onions. 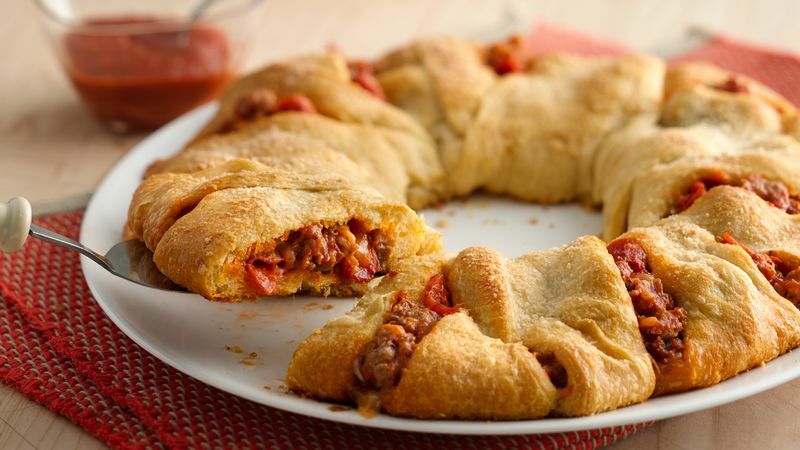 Crescent ring can also be assembled on a round pizza pan or pizza stone.